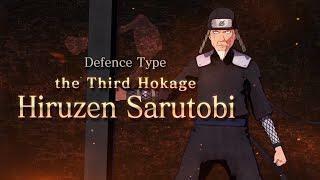 “Don’t underestimate the Hokage!” Unlock the third Hokage, Hiruzen Sarutobi, for free as part of the new NARUTO TO BORUTO: SHINOBI STRIKER update, then learn the skills for your CaC as part of DLC #2 for $3.99. The DLC will also include a new set of outfits & weapon accessories for your character! Additionally, season pass holders will receive an exclusive costume set.